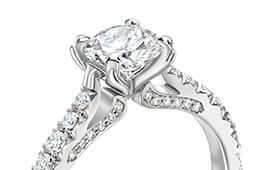 It is perfectly possible to choose the perfect diamond engagement rings online. 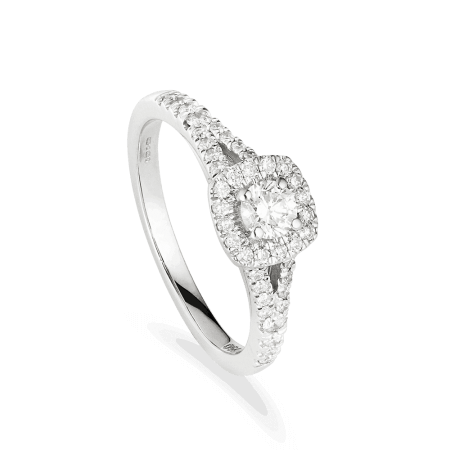 Armed with some facts, and guided by an experienced jeweller, you will be ready and confident to choose a diamond for life. 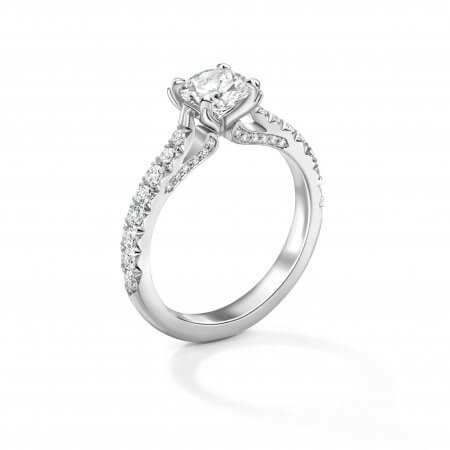 Why buy your engagement ring online? You may be creating an elaborate engagement moment with singing lambs and rainbows. 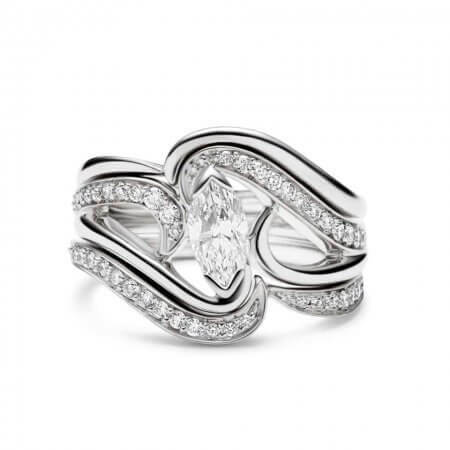 Or you may be scrambling to find a ring that meets her requirements after she said an unexpected ‘yes’. 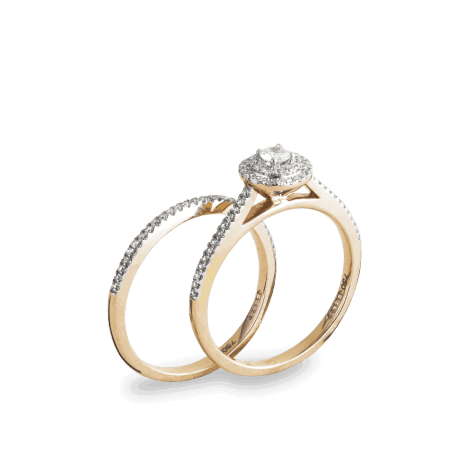 Whatever your story, buying an engagement ring online makes sense. Why? Instead of trudging from jeweller to jeweller attempting to compare diamonds and prices from memory, it is easy to bookmark your favourite choices and compare the carat, cut and clarity in seconds. 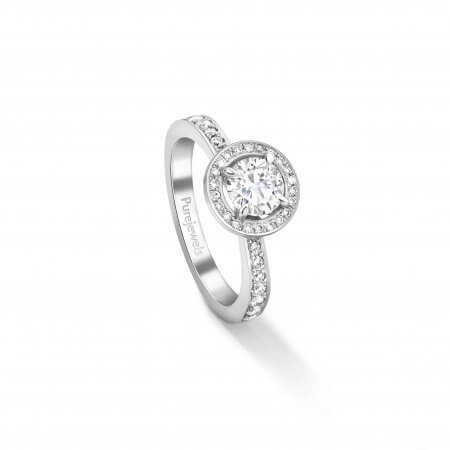 If you are looking for a particular style or design – you fit into what’s known as a ‘niche’ – it is far easier to choose a specialist jeweller online. 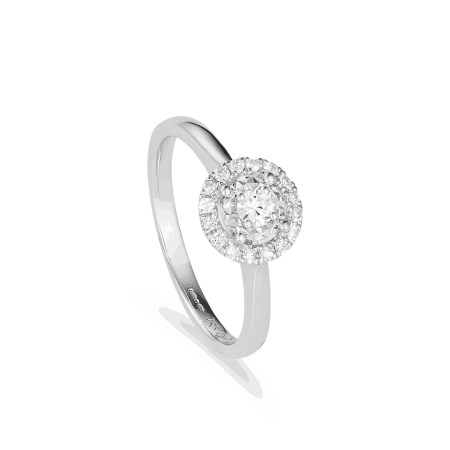 For example, PureJewels has been a premier jeweller on Green Street, specialising in Indian 18ct gold engagement rings, for over 35 years. So you know roughly what you want. 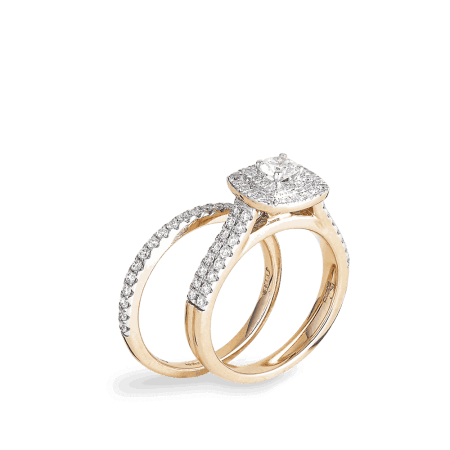 But there is a vast selection of UK jewellers selling 18ct gold engagement rings. And only some of them will meet your criteria. Buying online means you needn’t travel or waste time and, with free returns thrown in, it is better than journeying to a store twice or more. The element of surprise is preserved. Your order will arrive discreetly, and resizing is readily available. 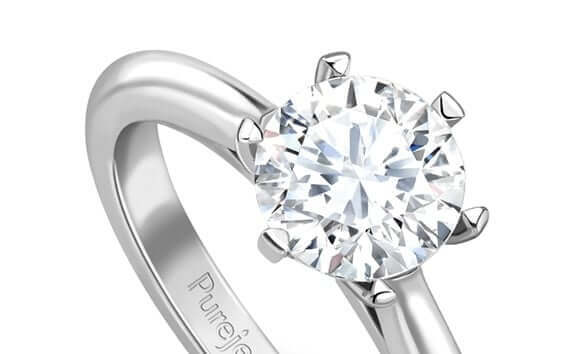 When you order at PureJewels you may specify a size (measuring an existing ring to obtain the dimensions) and return your order if it doesn’t fit. We know you’re busy. 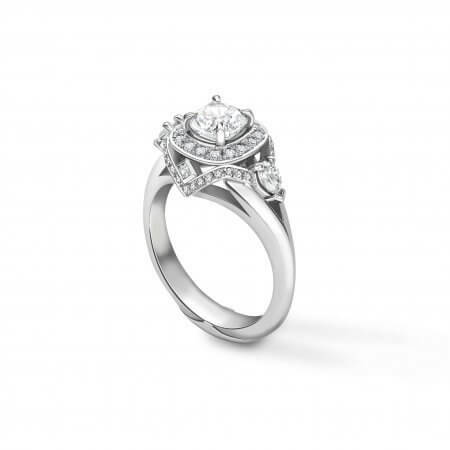 Here is a concise summary of facts you’ll need before buying a diamond. 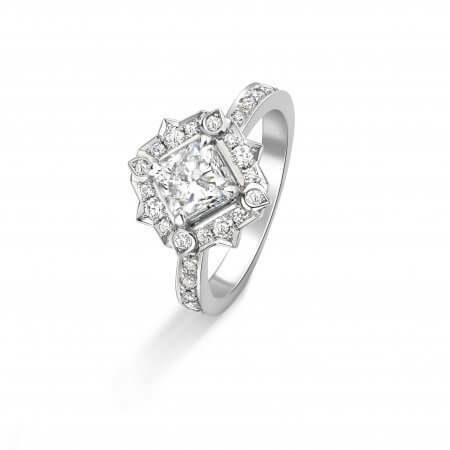 The cut of a diamond is possibly the most important factor. 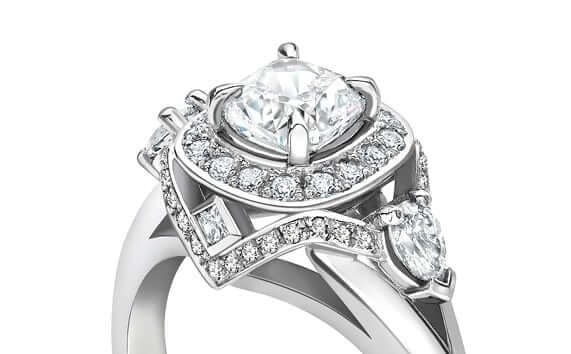 It is the way that the diamond has been finished and it affects the brilliance of the stone. 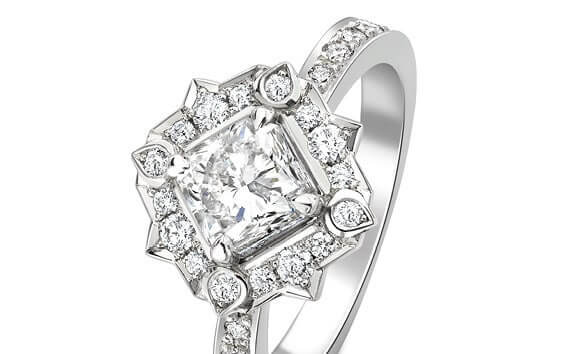 A well-cut diamond possesses fire. That’s the illuminating sparkle that shines out of the very finest diamonds in the world – it’s what makes a diamond look captivating. This can be difficult to judge online. 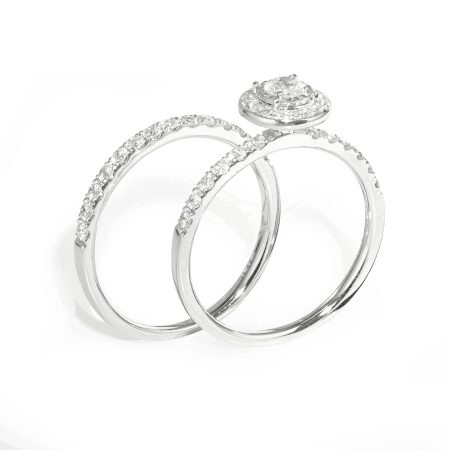 The secret is to choose a trusted diamond jeweller. 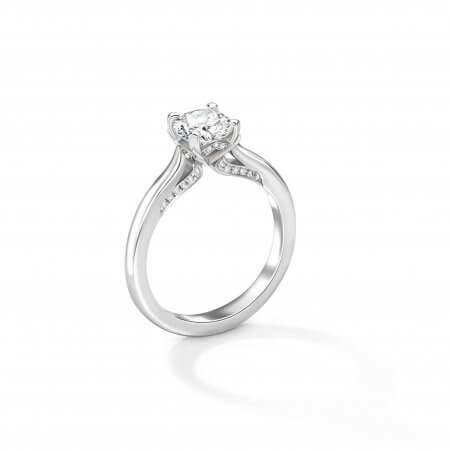 A good jeweller hand-selects stones for engagement rings and, with years of experience, they will quickly and efficiently filter out the diamonds that may have one single cut at the wrong angle. Cuts are classified using names such as ‘pear’, ‘emerald’, ‘princess’ and ‘oval’, which refer to the shape. A really good cut must be chosen by eye. This is a simple matter of scale. 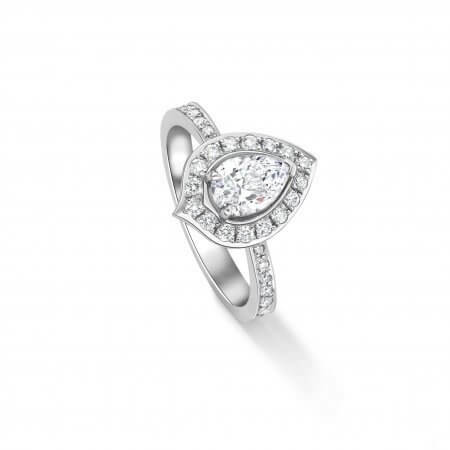 Every diamond is graded for clarity, depending on the inclusions contained within. Invisible to the naked eye, inclusions are like birthmarks – individual marks that make each diamond unique. Clarity is rated from IF (internally flawless) to Imperfect. This is also rated on a scale, from Z (tinted) to D (colourless), and affects the hue and personality of your diamond – not necessarily in a negative way. 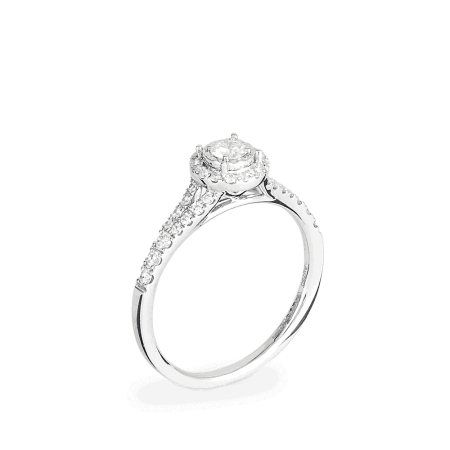 Other jewellers accept diamonds lower on the scale, and of course highly-coloured diamonds are also extremely coveted. This rating is partially to do with personal taste. Ah… how big is it? A single carat is a wow-sized diamond. 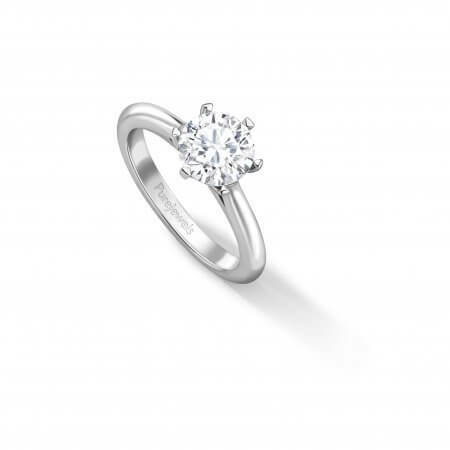 Below one carat, weight is measured in points; ie, 0.75 is ¾ of a carat. 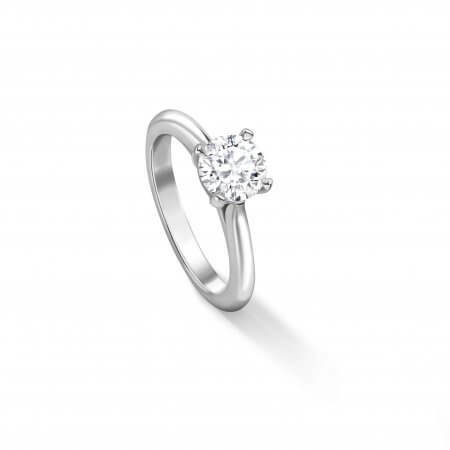 Diamond weight or carat is only partly indicative of a stone’s value, which depends on a balance of all four factors – as well as its lustre and proportions, which of course can only be found during the selection process. 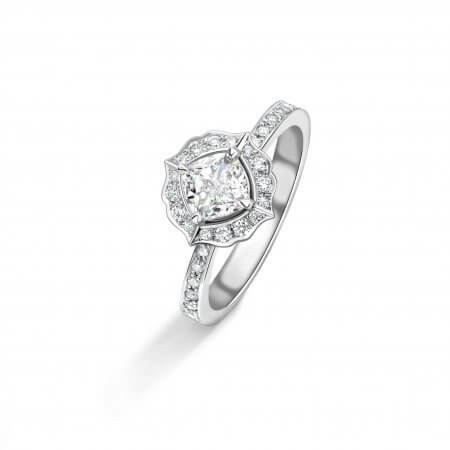 While the four Cs will undoubtedly help you to decide what type of diamond you’d like, in life, like everything, each stone is entirely unique. 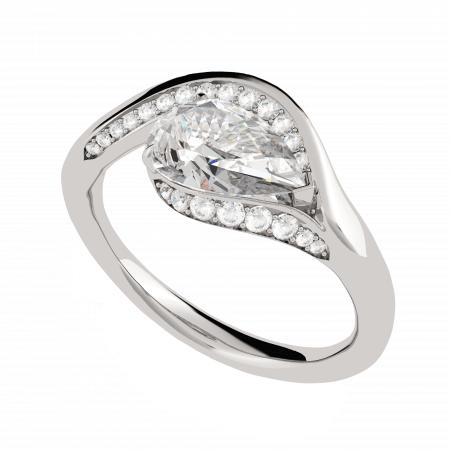 A skilled master jeweller will browse thousands of stones before hand-selecting only those exhibiting the perfect balance of cut, clarity, colour, and cut. 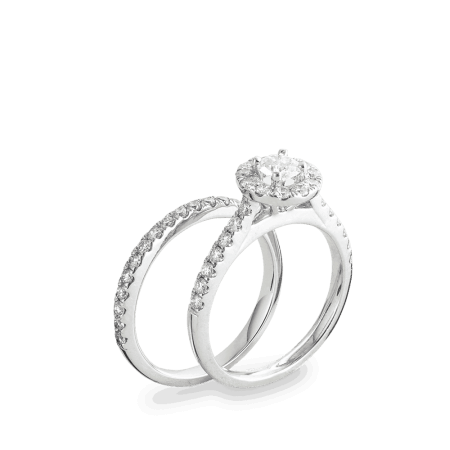 Here is a suggestion: begin your journey on our website and Give us chance to explore collection of Diamond engagement rings uk. 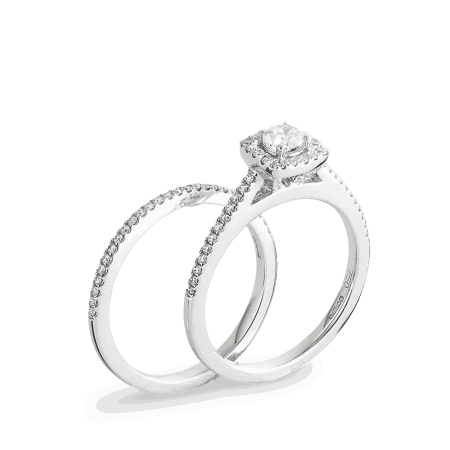 Decide what style and size of diamond you like and can afford. Then customise your choice with a stone that is as good as you can manage, confident in the knowledge that it has been individually picked from a world-class cutting centre in India and will almost certainly over-deliver on your expectations. There’s nothing in the world like opening the box to a very fine diamond.